Kaka is a natural ingredient that is used in a very large number of weight loss supplements as well as other health and wellness pills. It is an ingredient taken from a West African tree. Several parts of the plant are used, particularly in the case of the fruit and the seeds. 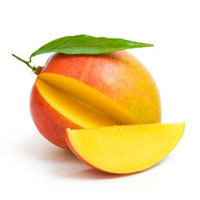 The fruit isn’t entirely unlike a mango and is commonly eaten as food. The seeds are the part most commonly used for medicinal purposes. This ingredient goes by a string of different names. It may be found on ingredients lists as kaka, but may also be called etima, duiker nut, dika nut, manguier sauvage, ogbono, wild mango, agbono, bush mango, bread tree or irvingia barteri, among others. Aside from using the seeds to help with weight loss, some people also believe they can help people to lower their cholesterol levels and support diabetes control. The kaka seeds are believed to be helpful due to the type of fiber they contain and the amount of it that is present. The fiber may help to improve cholesterol removal processes, taking it away from the body. Some preliminary research suggests that this ingredient could also have an impact on fat cells in the body. They may help to break down the fat contained in the cells and reduce the growth of those cells. These effects could be highly appealing to people who are hoping for an advantage in their weight loss. It should be noted that in terms of reputable scientific study, kaka seeds are not considered to be proven for any medicinal purpose, including for weight loss, cholesterol reduction or diabetes support. There are some limited studies looking into all three of those uses, but none that have been extensive enough to be considered conclusive to the medical community. While there has been some promising research regarding the use of kaka seed for weight loss, as it does look as though it has a number of possible fat-reduction benefits to using this substance, what isn’t clear is how it could function outside the lab. 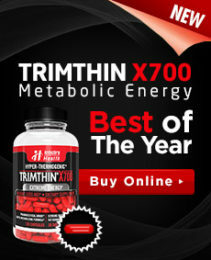 The reason is that while this ingredient may help to stop fat cells from getting any bigger and it might help to encourage fat to break down, it isn’t clear whether or not its effect is powerful enough to actually lead to measureable weight loss, particularly within a safe dose for healthy human use. That said, research so far has suggested that it is safe to use over the short term within a limited dose.